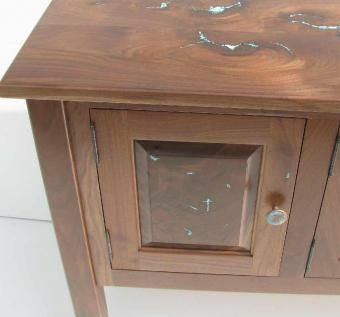 Truly a signature piece from a North Carolina Furniture Craftsman! 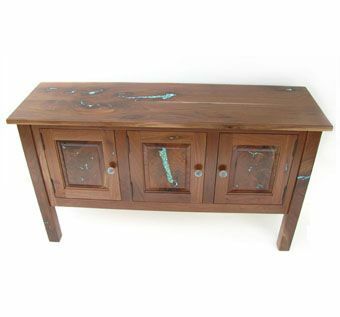 Solid Walnut Console, three doors, featuring highly-figured woodgrain and turquoise inlays. 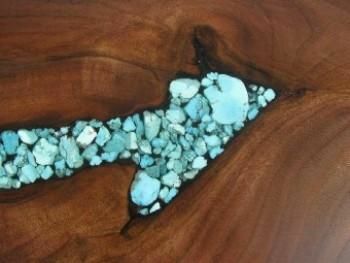 This piece sold to one of our favorite customers. Let us build a console just for your home!